This wide receiver drill forces players to make three catches in quick succession – one heading from right to left, one heading from left to right, and one over the shoulder catch. This drill forces players to learn how to anticipate where they’ll go after making the catch, while still focusing in and tucking the ball away safely. Have a coach line up in the middle of the hash marks, with three footballs. Five yards up, a player will stand on each hash mark, facing each other. The player running the course is going to start outside the hash mark, and on the coach’s signal, will sprint to the other side. 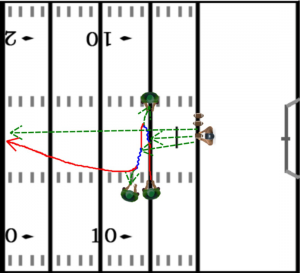 The coach will hit the player in stride, who will catch the ball and either handoff or shovel pass it to their teammate, touch the hash mark and sprint in the opposite direction. 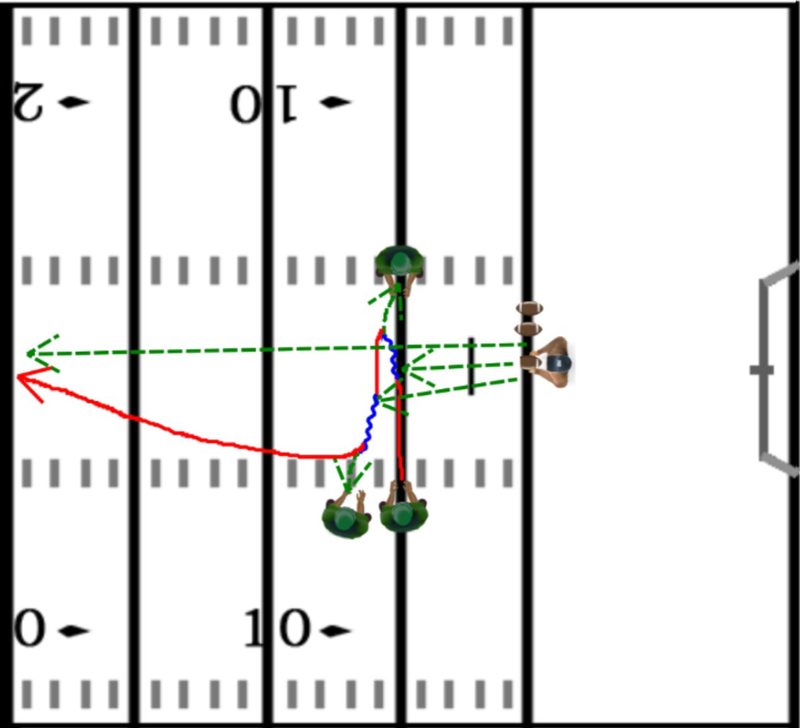 The coach is going to make a second pass here, and the player will do the same thing, handing it off to his teammate – except now instead of sprinting in the opposite direction, the player will head downfield. The coach will loft it up, hitting the course runner for a deep pass over the middle, giving them a chance to work on making an over the shoulder catch.